Clif and I both have birthdays in September, and last week our daughters came home to celebrate with us. What a fine week it was! Having them here was the best present of all, and Shannon, who lives in North Carolina, has decided to make a mid-September visit a yearly occasion. Dee, our eldest, could only stay until midweek. It’s always inconvenient when work gets in the way of having fun. Shannon stayed for the whole week, and as is our way, we filled it with simple pleasures—visiting with friends, going to a lecture on politics, playing a new game that Shannon got for her birthday. The weather was so warm that we could have drinks on the patio nearly every night. Saturday, Shannon’s last day, was the grand finale. 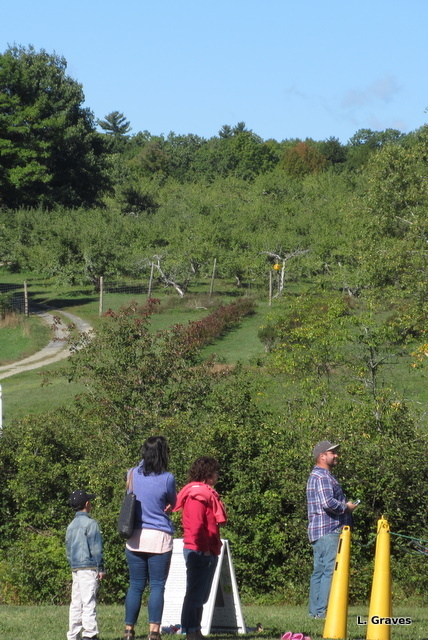 We went to Lakeside Orchard in Manchester for an apple festival. 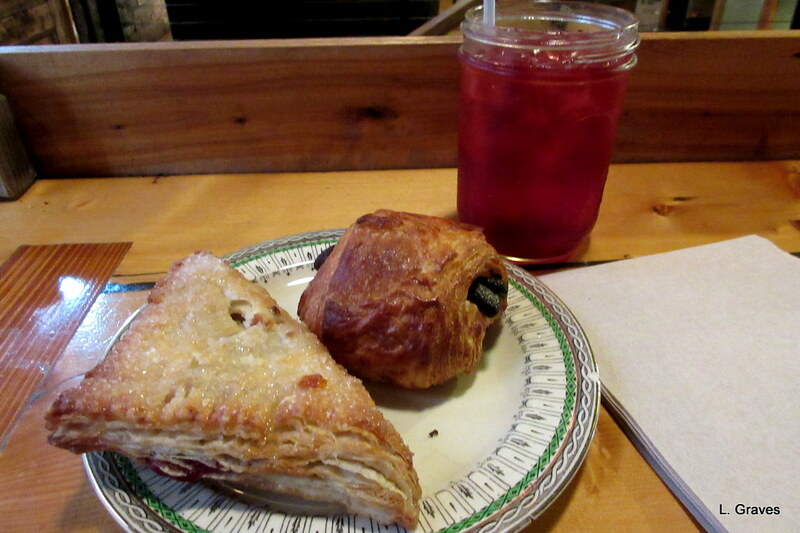 Then, it was off to the Red Barn for lunch. 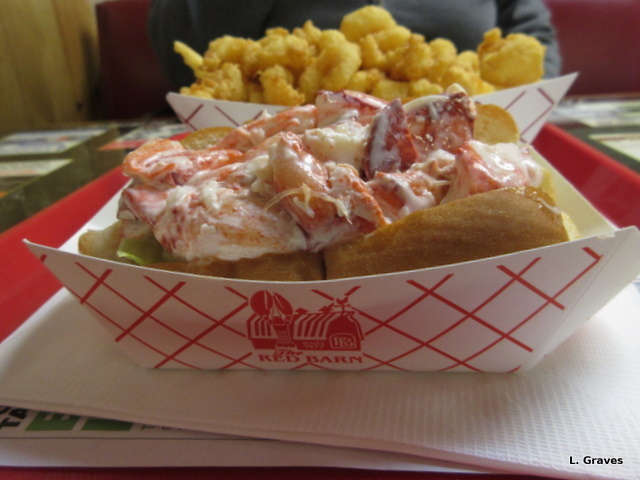 I had one of their fabulous lobster rolls, and Shannon had a shrimp basket. The Red Barn supports many charities, and outside a pet rescue organization—can’t remember the name—had a display, complete with dogs and cats. 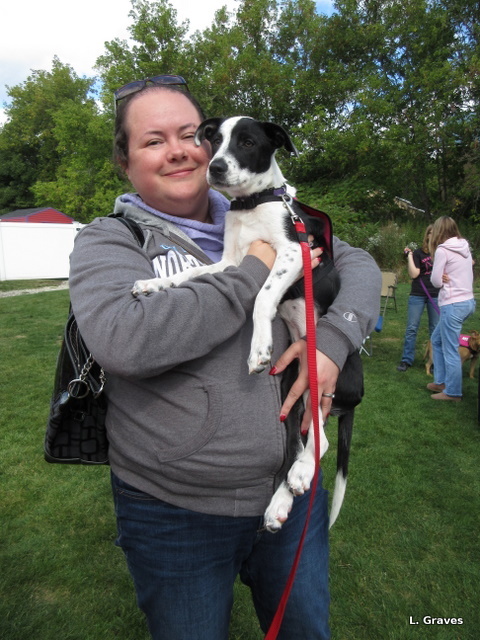 Shannon, a dog lover extraordinaire, couldn’t resist cuddling one of the dogs, a sweet border collie mix named Linda. 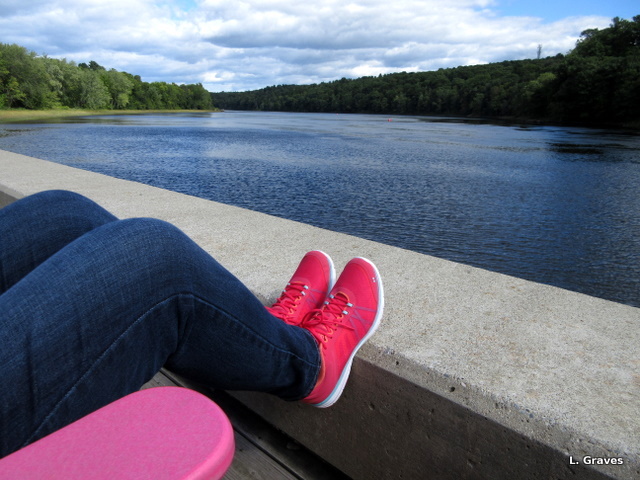 After lunch, we went to Hallowell to sit by the Kennebec River. 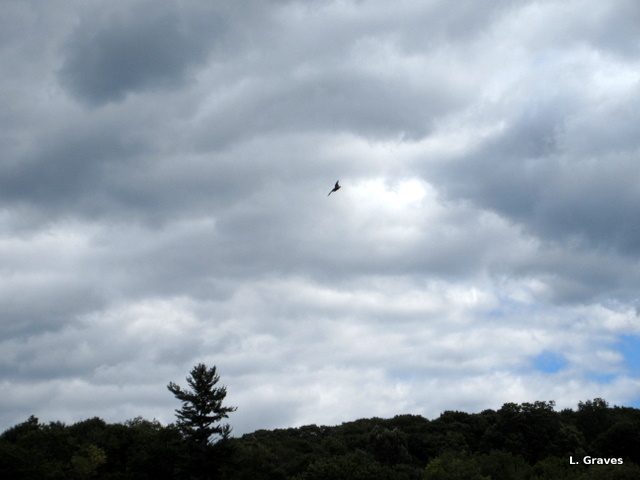 The river was aflutter with birds. 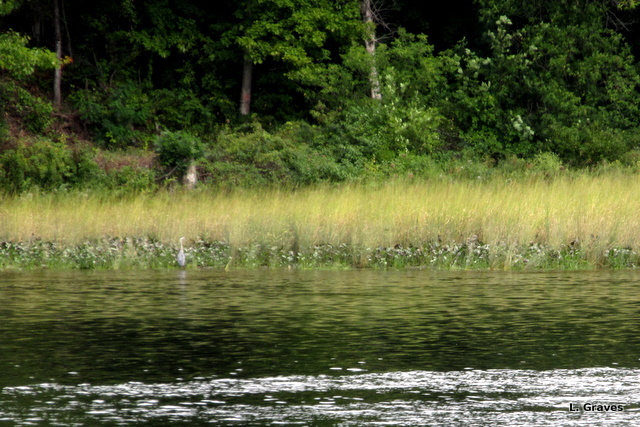 We saw herons—look closely on the left. 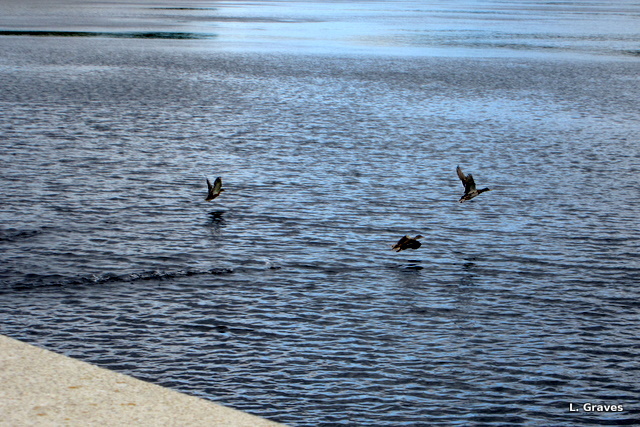 And, of course, there were ducks that—to borrow from my friend Barbara—are plentiful but never common. On Sunday, I brought Shannon to the bus station to begin the first leg of her journey back to North Carolina. I was so sorry to see her go, but she and her husband, Mike, will be back for Christmas, which isn’t that far away. 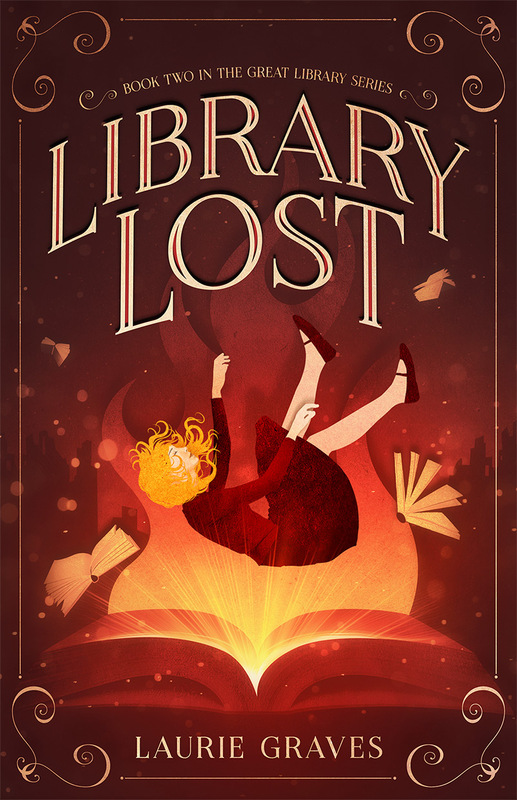 Now, it’s time to settle into our routine, to work on getting my YA fantasy, Maya and the Book of Everything, ready for publication. There’s just one little hitch that will keep me from working for a few days—Clif gave me his cold. It’s just starting today, and I’m getting chores done before the road-kill phase of the cold sets in. Fortunately, Clif’s cold has not been a bad one, and I expect that by the end of the week I will be back on schedule. 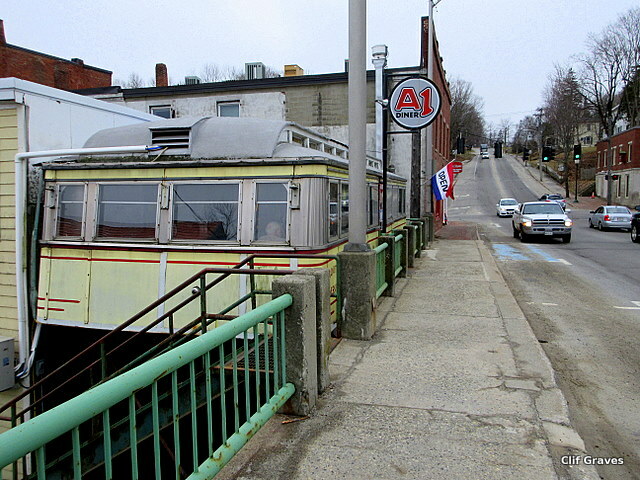 A1, as it is locally called, really is a diner car, perched on the edge of a rather steep drop-off. 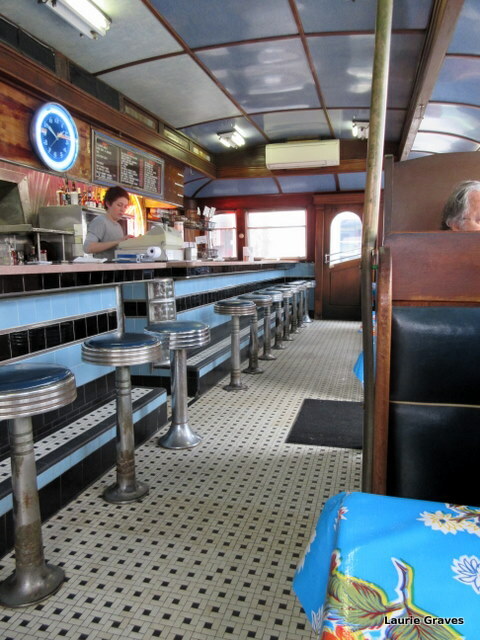 Like the outside, the inside of the diner is a trip back in time. 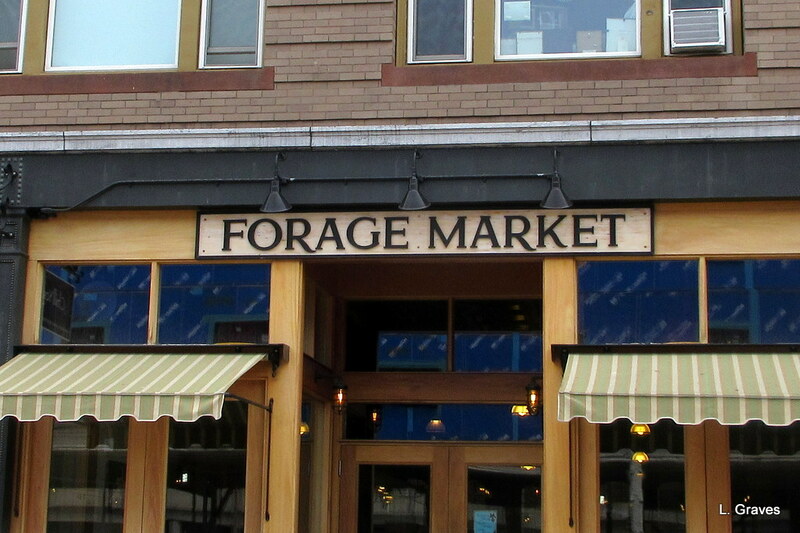 Need I add that this is one of our favorite places in central Maine? 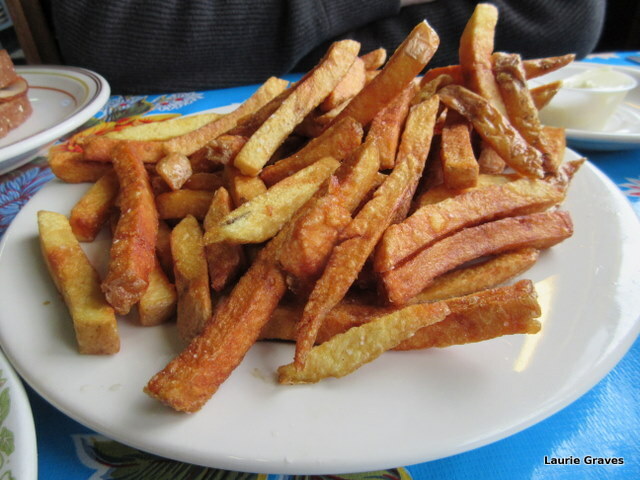 The food is fresh and tasty, and oh, the fries! 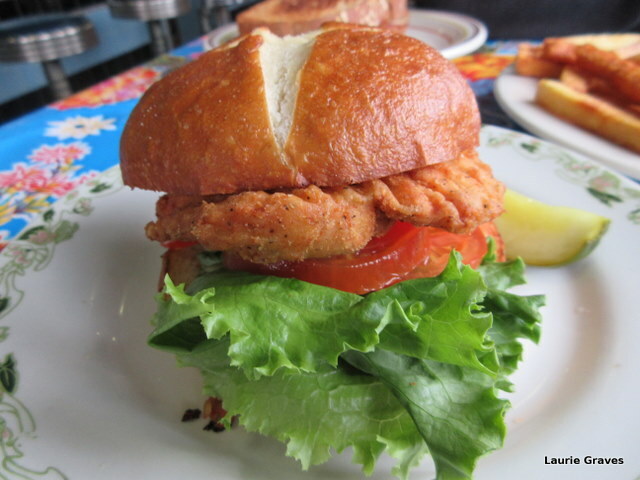 The chicken sandwich was pretty darned good, too. As Clif is the one who likes beer—I’m more of a cocktail kind of woman—he perused the selection while I chatted with John, the owner of the store. 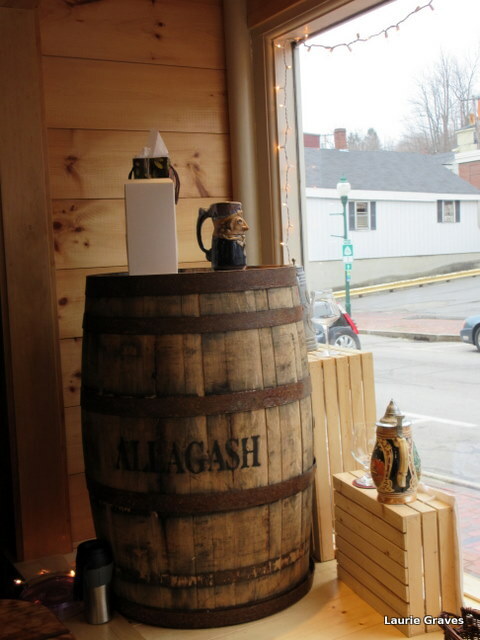 We talked about Gardiner’s main street, how it has gone from being a street with too many empty store fronts to a bustling place with many businesses, which, for now, are thriving. 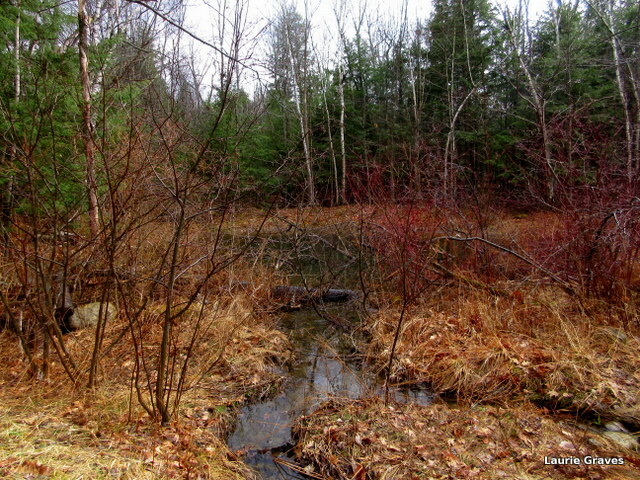 Then it was back home again, where I discovered that the small swamp up the road was finally free of ice. Would there be peepers come nightfall? No, but there were plenty of clicking frogs. Surely the peepers will soon be singing their spring song. As the title of this post indicates, I don’t have a bucket list. I have nothing against them, but a bucket list is not for me. Instead, I prefer to focus on each day, on my various projects, on nature, on family and friends. 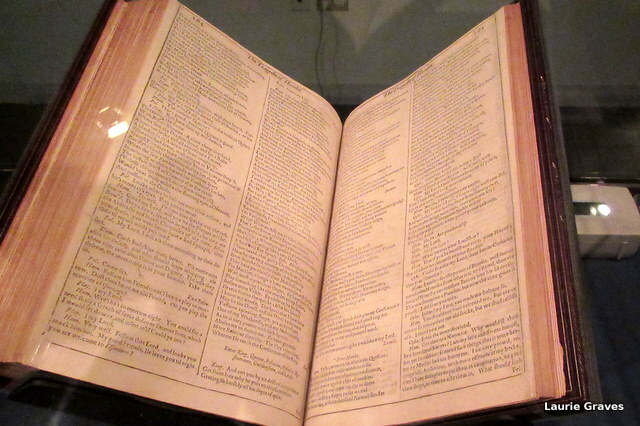 Our friends Alice and Joel, who are also fans of Shakespeare, were over last weekend, and as we discussed the First Folio, I wondered if I would cry when I saw it. Rather than look at me as though I were crazy, they just nodded, and Joel compared the First Folio to the Holy Grail. Or something like that. And how right he was. For those of us who love literature and plays, Shakespeare is at the top, reigning supreme. Readers, I did not cry when I saw the First Folio on Tuesday. I was in too much awe. An attendant led us into a small darkened room, which, when the doors opened, came the blast of Handel’s Messiah. Just kidding about that last bit. The room was as quiet as an empty church. In Elizabethan times, plays were not considered “important” but instead trivial, the mass entertainment of the time “unworthy of serious consideration as literature.” But somehow, two of Shakespeare’s fellow actors thought it worthwhile to publish the First Folio, and to them we must be forever grateful. Without that First Folio, many, if not most, of Shakespeare’s plays might very well have been forgotten and lost. What to do after such an experience? 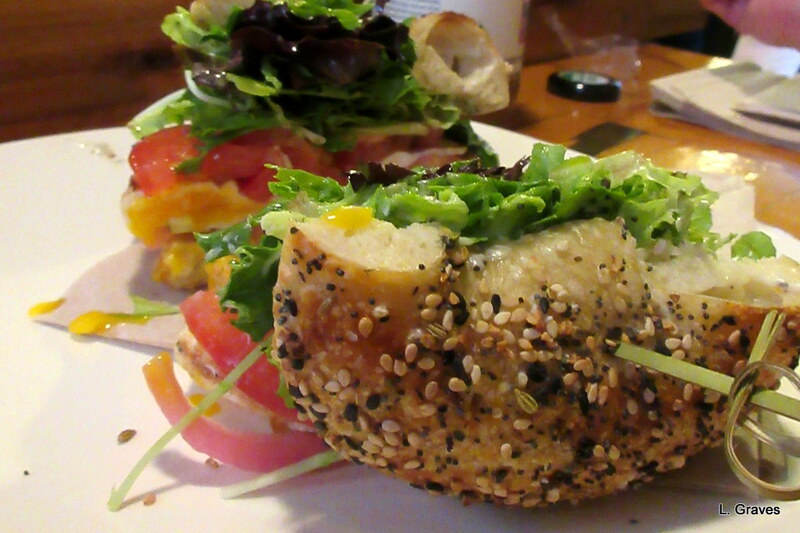 Why, on to Lewiston to Fuel, my favorite restaurant in Maine. 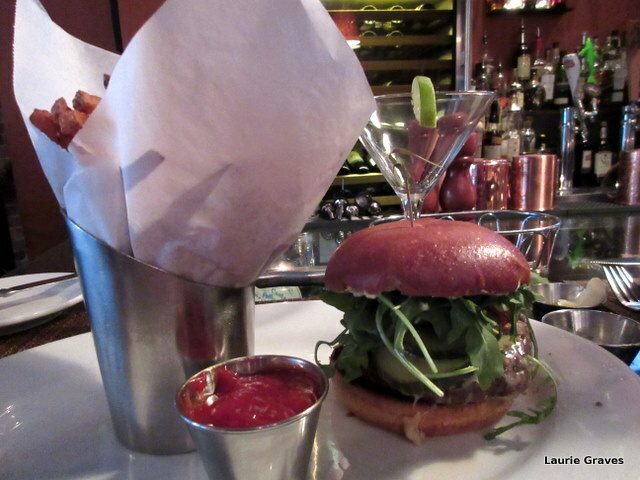 We both had burgers, which come with delectable fries at no extra cost. 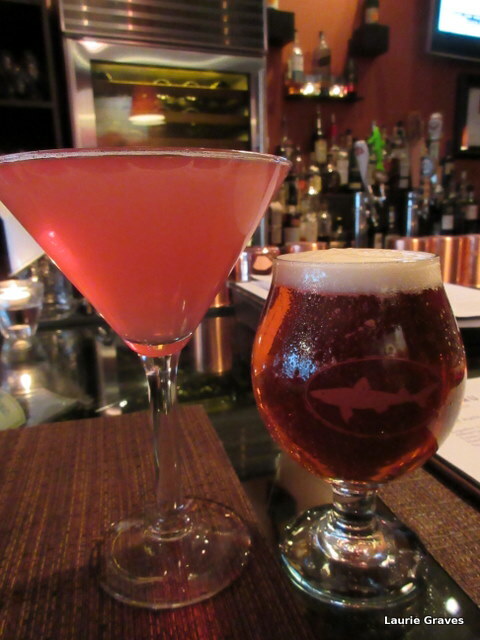 On Tuesday, everything on the bar menu is $9 or less, which means the food is quite the bargain. Especially if you can limit yourself to one cocktail or a glass of wine or beer. Home we went in a happy haze, full of good food and good drinks. What a way to end First Folio day. 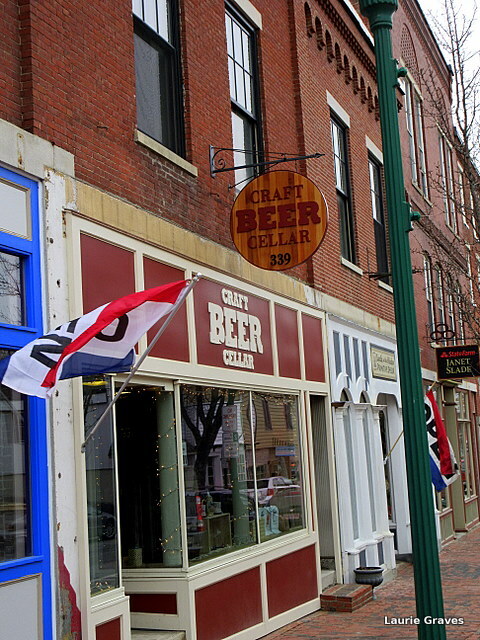 Last Sunday, Clif and I had planned to ride from Hallowell to Richmond—a twenty-three-mile bike ride—but when we got up, we changed our minds. Although the day was bright and sunny, there was a very brisk wind and the temperature was about forty degrees. Too cold! “Sounds good to me,” Clif said, and to the Red Barn we went. The place was packed, as it always is on Sunday afternoons, and we had to drive around a bit before we found an empty space. However, the terrific staff—who are paid a living wage, I might add—were their usual cheerful, quick, and competent selves. I waited no more than five minutes for chips and chicken, cooked fresh and piping hot. Because the day was sunny and involved a walk, we brought Liam, and by then it was warm enough to eat outside rather than in the car. 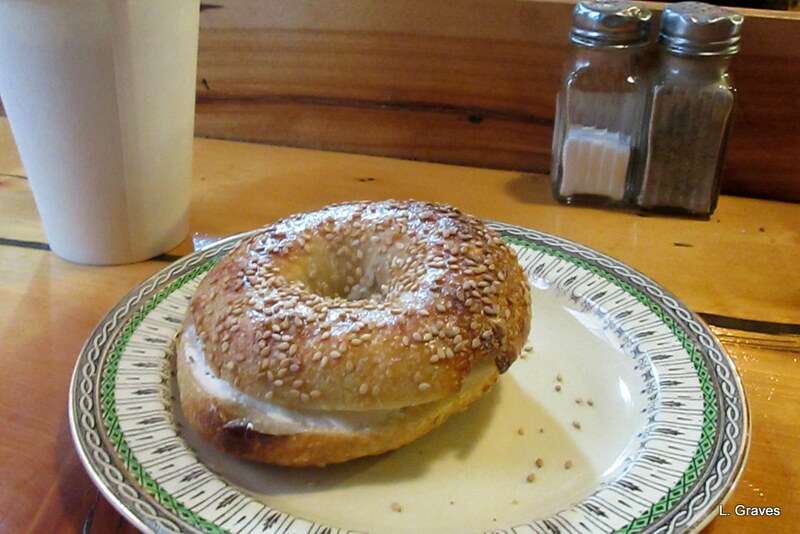 The Red Barn is extremely pet friendly, and other people brought their dogs, too. At first Liam was excited and yippy, but he soon settled down so that we could eat our meal with only a minimum amount of barking and disruption. After the big meal, a walk was certainly in order, and we drove to Hallowell where we could park the car and walk a portion of the Rail Trail. In Liam’s younger days, he would zip right along, and we would go several miles. However, Liam will be ten in January, and nowadays he likes to amble and sniff. Clif and I don’t mind. When we take the dog for a walk, we are doing it for him, not for exercise for us, and we let him take his time. On the trail, I met Denis Ledoux, a writer who is in the Franco-American artists group I belong to. It was a bit of a surprise to see him out of context, so to speak, as he lives a fair distance from Augusta. 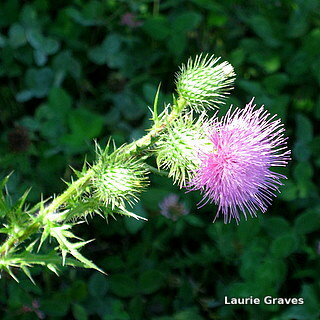 He had come to visit a friend, and they were walking the trail together. Denis and I talked about what many Francos talk about when they get together—cleaning the house, garage, and yard. As I’ve written before, Francos have a zeal for cleanliness and order that borders on fanaticism, and it is one of our big topics of discussion. There are, of course, individual Francos who buck this tradition, but even so, cleaning the house usually hangs heavy over their heads. It’s a rare Franco, male or female, who breaks free from the grip of cleaning the house. We also talked a bit about writing and the goings-on within the Franco Artists Group, one of the best groups I have ever belonged to. So many talented writers, artists, and performers in this group. After saying goodbye to Denis, we continued on for a little longer. 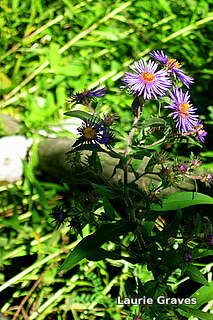 Asters and thistles were in bloom, giving modest bursts of color to the fall landscape. The wind had stopped blowing, and it was so warm that I had to take off my jacket. “We could have gone on that bike ride,” I said. Ah, well! We had made our decision. 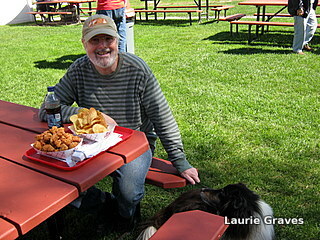 After the walk, it was on to the Dairy Queen, where everyone had ice cream, even the dog. As the young woman made up Liam’s doggy ice cream, she said, “When you make a dog a treat, it should be a real treat,” and she studded his ice cream with four dog biscuits. And so we did, sliding the bike ride into a day filled with good food, sun, the dog, a walk, and an unexpected meeting. For Clif and me, last week was action packed. First there was the Kick-Off Celebration of our library’s expansion project. (I wrote about this in the previous post.) Then there was Railroad Square Cinema’s celebration party for its own expansion project, which Clif and I went to on Saturday night. Clif and I decided to go early and meet our friends Joel and Alice at Buen Apetito, the busy Mexican Restaurant attached to the cinema. The restaurant also was expanded, and now it has its own entrance as well as a snappy new bar where customers can gather to drink margaritas—take care as they can be strong!—and eat chips and salsa. Clif and I shared an order of tasty pulled-pork nachos, and 2 margaritas each put us in a jolly mood. There is even a new closet in the women’s room. Another patron and I regarded it suspiciously. “What is that?” she asked. “A storage closet?” I ventured. A quick peek indicated that this was indeed the case. Railroad Square Cinema opened in 1978, and Clif and I have been going there from the very beginning. We’ve seen many changes, but Railroad Square remains an important cultural center in Waterville, and it draws people from miles around. 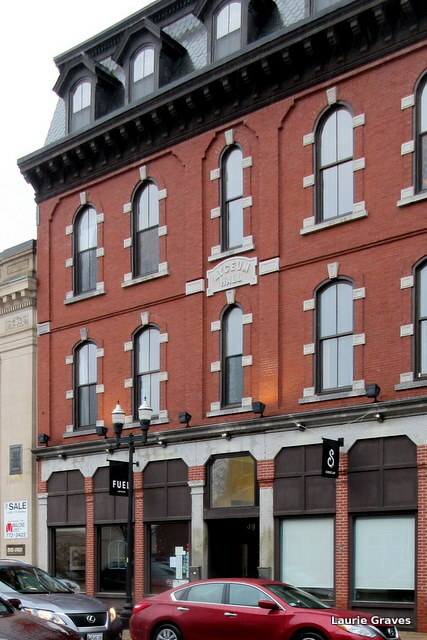 In fact, Railroad Square, combined with Colby College, the Waterville Opera House, and a wonderful public library, makes Waterville a very attractive place for seniors to retire. So congratulations Railroad Square Cinema! May you continue to give us good movies, good art, and good times for many years to come. Yesterday, with a merry heart, I drove to Portland to meet my friends Joan and Susan at Petite Jacqueline, where we celebrated Joan’s birthday. (Yes, I know. I’m involved in a lot of birthday celebrations. And I just love it.) The food is oh so tasty at Petite Jacqueline, and the servers let us talk long after the restaurant had closed for the afternoon. I also must admit that I have a soft spot for any restaurant that has a “Bonjour” sign at its entrance. The sign seems like a sweet little nod to the Franco-American population of the state, a population that at 30 percent is so large that it’s almost not a minority. A bit of a backstory: Susan Poulin and her husband, Gordon Carlisle, are one of Maine’s power art couples. She is an actor, he is an artist, and they are able to support themselves through their work. This is a testament not only to their prodigious talent but also to their hard work and organizational skills. To say I admire them is quite an understatement. Because they are self-employed, Susan and Gordon have had to buy their own health insurance, and for years they went with Dirigo Health, a state-sponsored plan. As with most freelancers, Susan and Gordon’s income varies, and sometimes they had to pay $500 per month for insurance while other years they had to pay as much as $900 per month, a hefty price for an actor and an artist. Quite a burden, in fact. Now that the Affordable Care Act is in effect, Dirigo is ending, and Susan and Gordon had to change health-care plans. With the help of a certified “navigator,” Susan and Gordon successfully enrolled in the silver plan offered by the Affordable Care Act. Their new cost? $188 a month, with benefits as good as their old $500 to $900 plan. Naturally, I was thrilled to hear that because of the Affordable Care Act, Susan and Gordon soon would have affordable health insurance that provided great coverage. It’s not only good for them, but it’s also good for other people who want to work for themselves. They now have the freedom to do so without worrying about the cost of health care, and it is my guess the Affordable Care Act is going to be a huge boon for artists and entrepreneurs and, in turn, for this country. Without affordable health care, there can be no freedom, no security, and this stifles creativity. I was also thrilled for Clif and me. Clif is 6 years older than I am, and in 4 years he will be able to retire with decent if modest benefits as well as Medicare. However, I will only be 60, and I most definitely have a preexisting condition—I was diagnosed with breast cancer 3 years ago. I hated the thought of Clif having to work until he was 72 so that I could have affordable health insurance, and now he won’t have to do so. Susan gave me permission to use her story because she wanted readers to know the good news about the Affordable Care Act. It is true that the beginning has had a rough start. Nevertheless, the good that will come from the Affordable Care Act far outweighs the bumpy start. It is my guess that in the future, Obama (BHO?) will attain the same status as FDR and LBJ when it comes to progressive legislation that has done so much good for so many people. Despite rough beginnings, sometimes this country does move forward.